BookStack is fully free and open, MIT licensed. The source is available on GitHub. There is no cost to downloading and installing your own instance of bookstack. 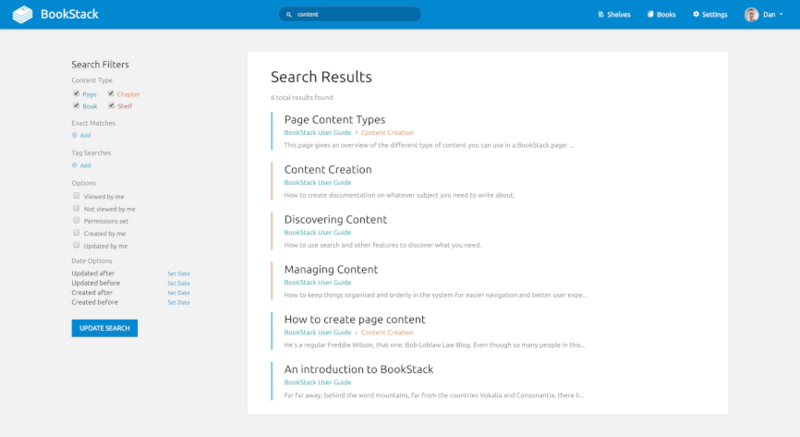 The content in BookStack is fully searchable. You are able to search at book level or across all books, chapters & pages. The ability to link directly to any paragraph allows you to keep your documentation connected. 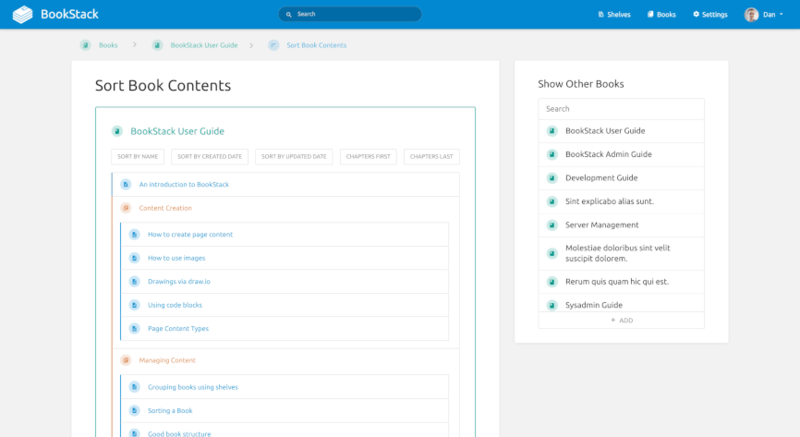 Configuration options allow you to set-up BookStack to suit your use case. You can change the name, Logo and registration options. You can also change whether the whole system is publicly viewable or not. 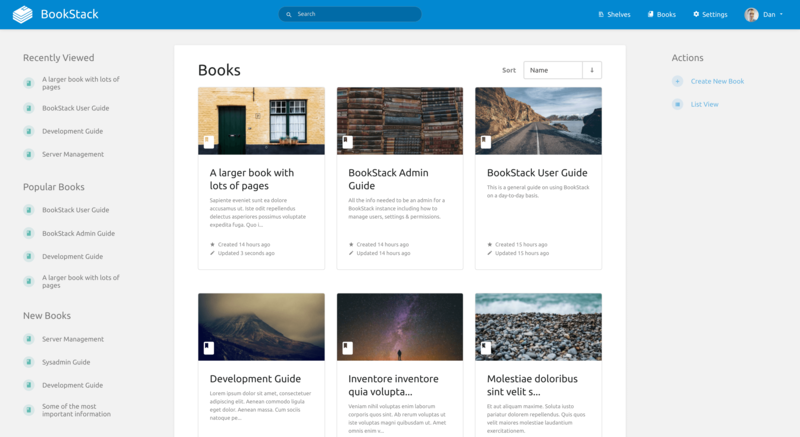 BookStack is built using PHP, on top of the Laravel framework and it uses MySQL to store data. 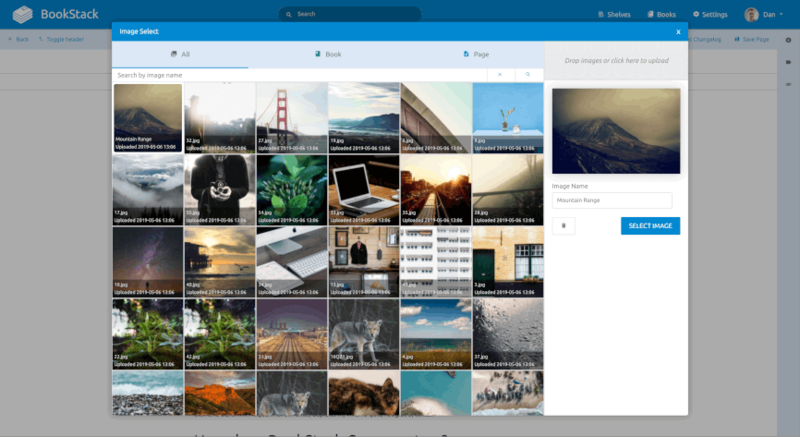 Performance has been kept in mind and BookStack can run happily on a $5 Digital Ocean VPS. On top of the powerful search and linking there is also cross-book sorting, page revisions and image management. A full role and permission system allow you to lock down content and actions as required. 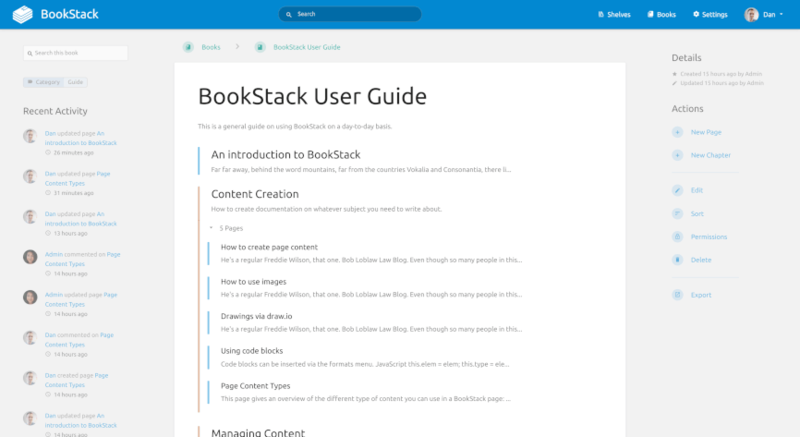 BookStack users can set their preferred language. Thanks to great community contributors, Current languages built into BookStack include EN, FR, DE, ES, IT, JA, NL, PL, RU and more. If you prefer to write in Markdown then BookStack supports you. 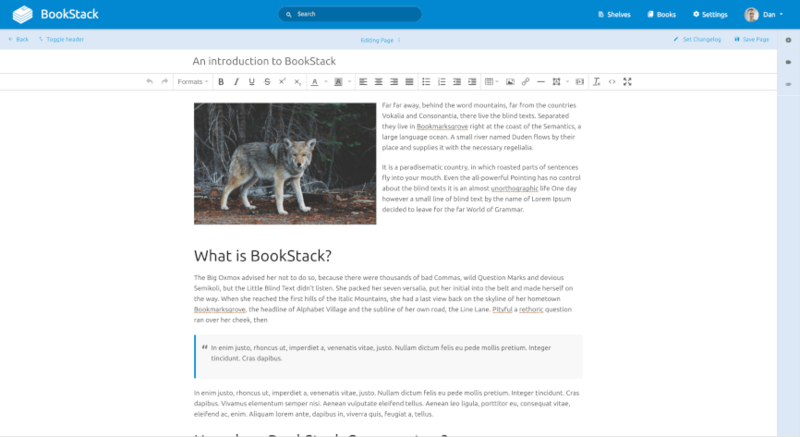 A markdown editor is provided and includes a live-preview as you write your documentation. As well as the default email/password login social providers such as GitHub, Google, Slack, AzureAD and more can be used. Okta and LDAP options are available for enterprise environments. 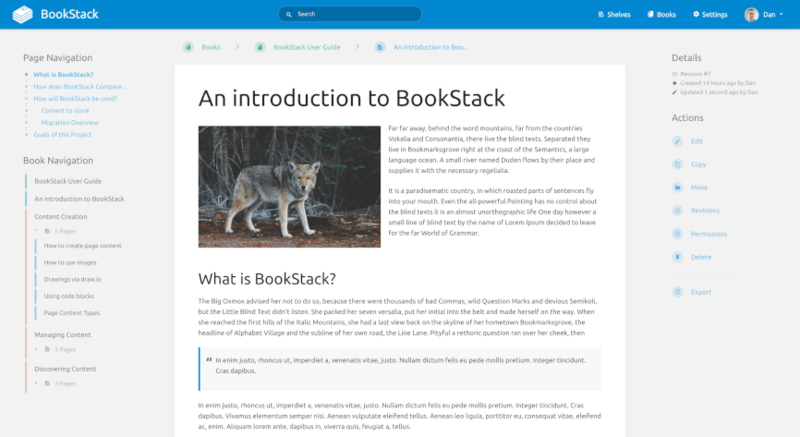 You can try out BookStack right now by using the given details. 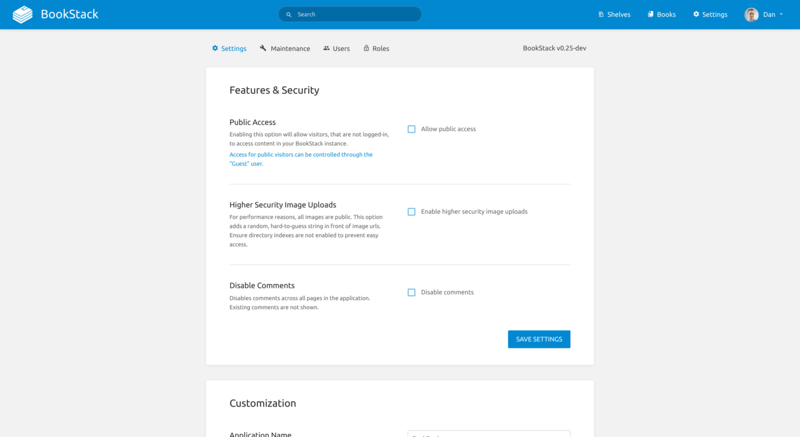 The demo database & image storage is automatically reset every half hour. Most standard actions are available using the provided admin login but some actions, listed below, have been restricted to keep the demo instance open & available. That said, all options & actions are at least visible to the demo admin user.